Looking for a culinary adventure? 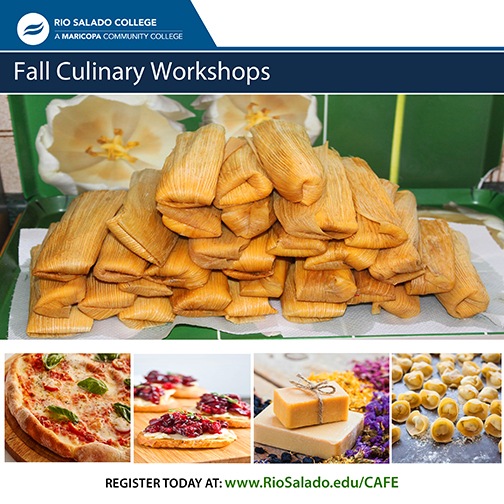 Join the Café at Rio and Sustainable Food Systems teams for a series of community education workshops to learn how to make soap, tortellini, pizza, holiday appetizers and tamales! Your first adventure begins Oct. 18 with a lesson on how to make soap! Use the code FALLSOAP for a 15% discount on this workshop! No tests, no grades-- just good old fashion fun!